If you you are a consumer having difficulty getting a business to use ADR, or an individual in dispute with any other party, we can contact them ourselves using our mediation set up service. 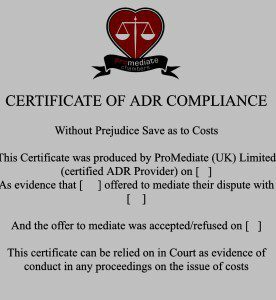 If they refuse to use ADR then we can issue you with a certificate to prove that they have adopted this approach and you have something to show the judge if you are forced to seek redress through the Court process. 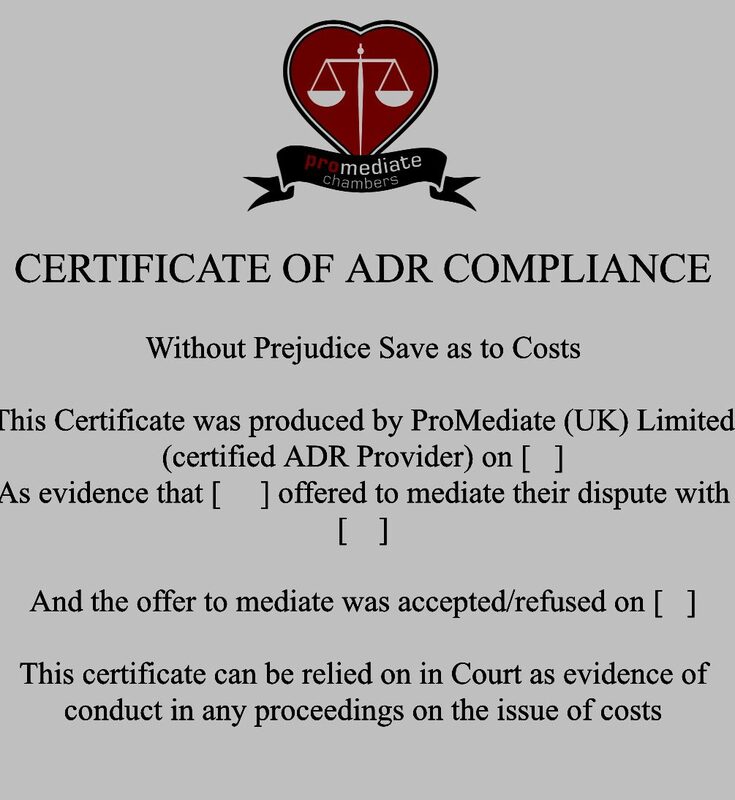 Likewise, if you are a business and you have agreed to use ADR but it does not resolve matters, we can also issue you with a certificate to demonstrate that you have acted reasonably and tried it.